Two updates at one day! maaloo Geocaching v2.1 and maaloo Outdoor v2.0 are released today. The Outdoor version gets the HERE map like the Geocaching version got in v2.0. Both version now have a fine tuned map download quota solution for each map provider. Both version talk to you by text to speech if you are nearby or reached your desired waypoint/geocache. 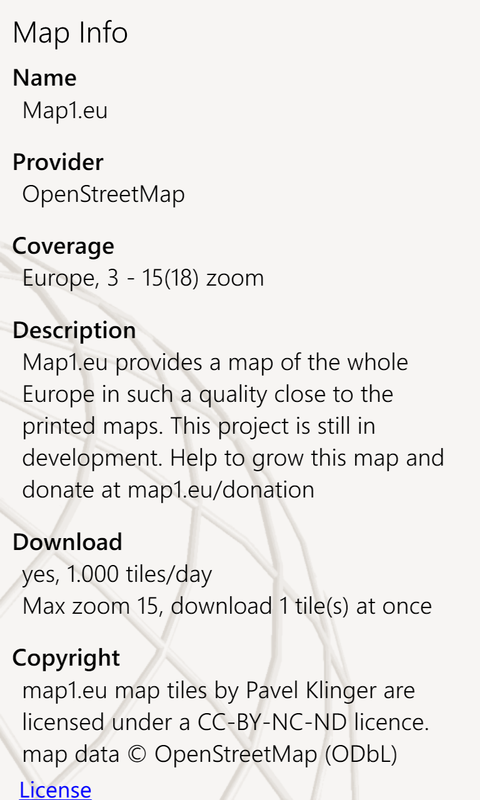 The map providers have different restrictions for map downloads. This version respects this restrictions more stringent and re-allows some maps for download which were blocked in v2.0/1.2. You can read the restriction seetings in the Info page of each map provider.